2:49 P.M.: Medivac: Casualties of War: Global News Portfolio: New Orleans based Photojournalist covering the Deep South and beyond. Upon arrival only one soldier is at the landing zone and he appears to be dead. 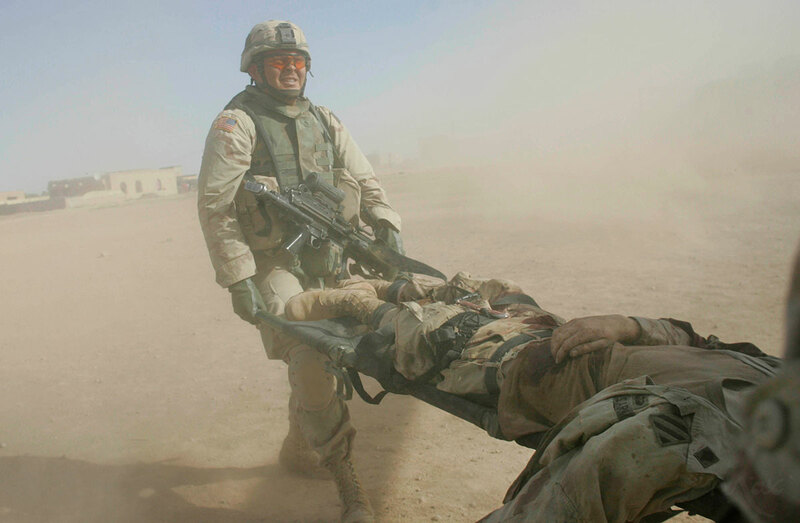 Specialist Shrode directs soldiers to load the stretcher on the chopper.